For the next 4 days, I'm going to post a question about the episode and my answer. What did writing your blog "Jon's Jail Journal" mean to you during lock-up? How did you hide the logistics of writing secret documents from other prisoners and guards during the day? Blogging meant a tremendous amount to me and my family – it was a team effort. My dad came up with the idea of starting a blog after he read about it in the news. My aunt smuggled my writing out of the maximum-security Madison Street jail, and typed us some of my early blogs. My parents handled all of the administration, typing blogs up and handling the correspondence with the public, which became a full-time job in itself over almost six years, taking up all of their spare time. 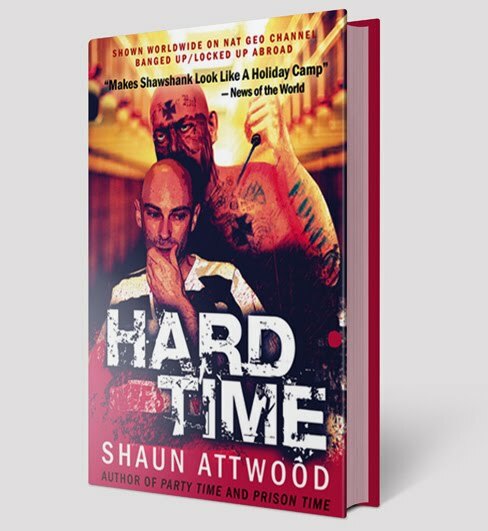 Writing about the conditions – dead rats in the chow, cockroaches trying to crawl in my ears at night, gang murders, mayhem and violence – helped me deal with the situation and contributed to saving my sanity. Jon’s Jail Journal was inspired by a guard who said to me, “The world has no idea what’s really going on in here.” With a golf pencil sharpened on the door, I started documenting everything. I hid what I wrote in legal paperwork and letters. My aunt took the blog entries – still hidden in paperwork – out through Visitation, typed them up, and emailed them to my parents in England, who posted them to the Internet. As the blog became well known, kind strangers started to mail me books and letters from around the world. Their outpouring of support helped restore the faith in humanity I’d lost after experiencing inhumane conditions and witnessing constant brutality. It was as if my blog readers were there with me in spirit, and I’m forever grateful to them. On a mission to get the conditions changed, I was delighted when the BBC reported my blog. International media attention to the human rights violations followed. The maximum-security Madison Street jail was shut down a few years later, but Sheriff Joe Arpaio runs six different jails. He opened a new maximum-security high-tech house of horrors down the street. I even have footage of him on my YouTube channel bragging about his Tent City jail being a concentration camp. 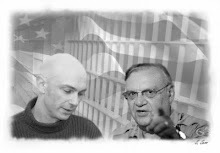 I still use the blog to campaign against Arpaio. Although incarceration worked for me, it was a disaster for most people I saw. Young people came in, were recruited by the gangs, started shooting up drugs, and committed acts of violence to earn racist tattoos. Perhaps that’s why Phoenix has the highest crime and reoffending in America, and Arpaio is the most sued sheriff.